The sky view from the window of an airplane. This cloud type and formation is commonly seen in Malaysia's sky. 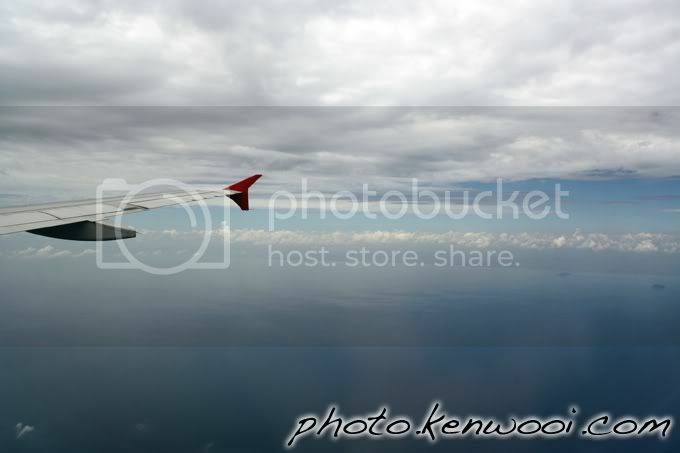 Taken from an AirAsia plane. 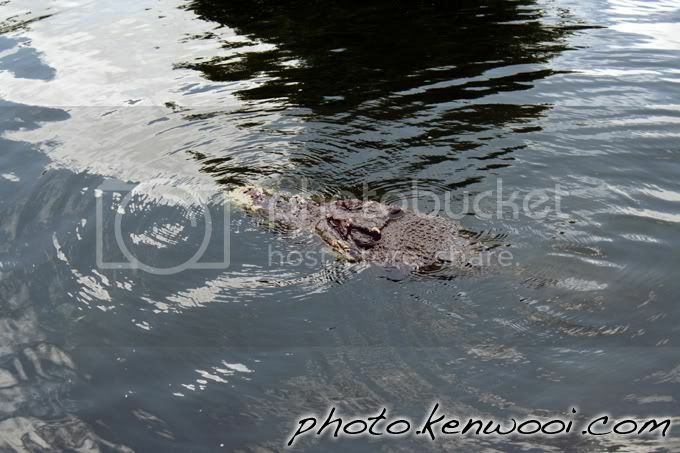 A swimming crocodile spotted at the Langkawi Crocodile Farm (also locally known as Taman Buaya Langkawi). Based on the Langkawi websites, the must-see during a visit is the crocodile feeding session. It's RM10 per entry. More details at Getaway to Langkawi Island on kenwooi.com. 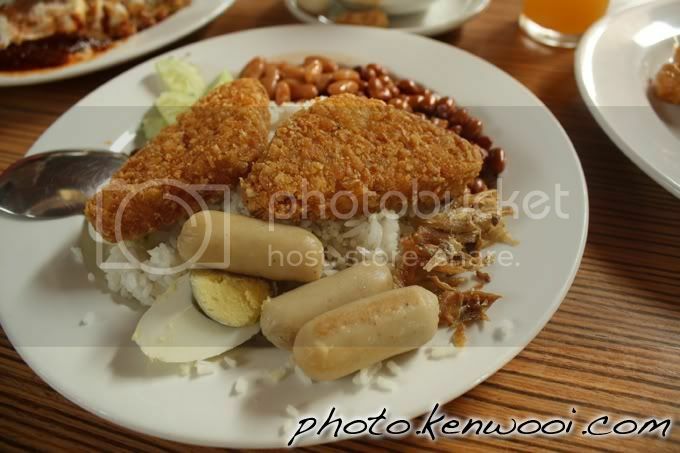 A special nasi lemak (rice cooked with coconut milk) that is added with hash browns and short sausages. Taken during a hotel buffet breakfast - which explains why it's "special". 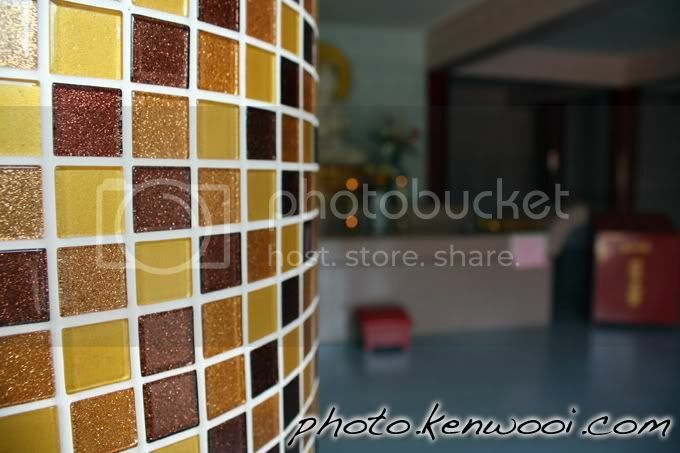 Glittery tiny square tiles used to cover up a pillar at a temple. The colour combination of brown, orange and yellow is really matching. 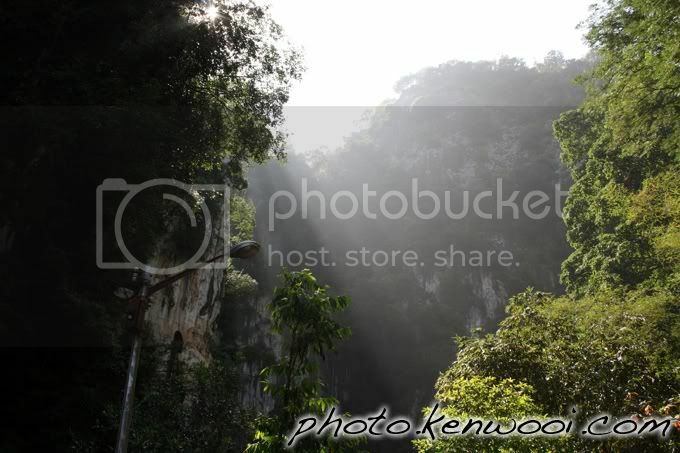 Photo taken at a local cave temple in Ipoh, Perak. More details at Intriguing Ipoh Cave Templesd on kenwooi.com. Kellie's Castle is not exactly in Ipoh but it's probably the one and only historical place nearby. The castle belonged to the late William Kellie Smith. It's located rather out of place - in his rubber plantation, in Batu Gajah along Gopeng Road. More details at Kellie's Castle on kenwooi.com. 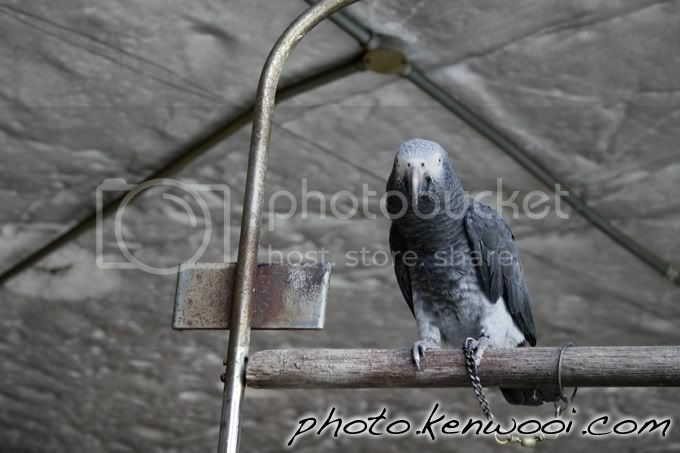 This black parrot is not caged, but is certainly chained up. Photo taken at a cave temple in Ipoh. More details at Intriguing Ipoh Cave Temples on kenwooi.com. 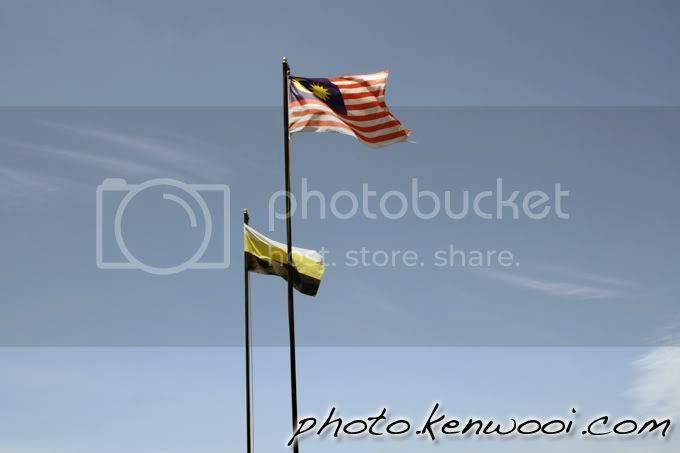 The national and state flags of Malaysia and its state, Perak. 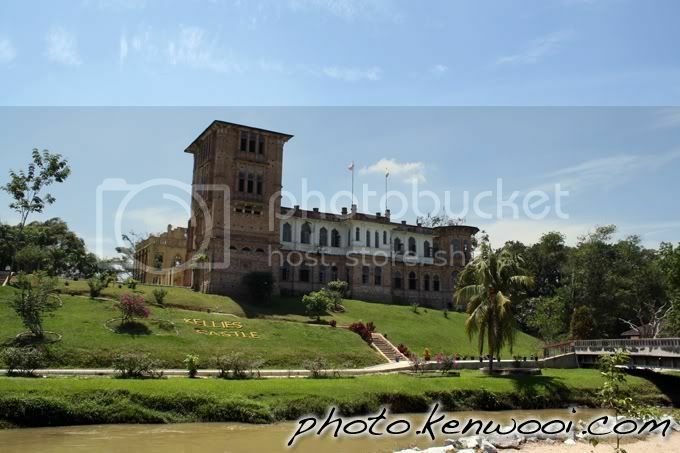 They are located at Kellie's Castle at Batu Gajah, Perak. The ray from the sun hits against the high mountains. Photo taken at a local cave temple in Ipoh. The Ipoh Railway Station is certainly one impressive building in Ipoh. It was built with a unique architecture called Mughal style, from India. That's why it's sometimes known as the Taj Mahal of Ipoh. 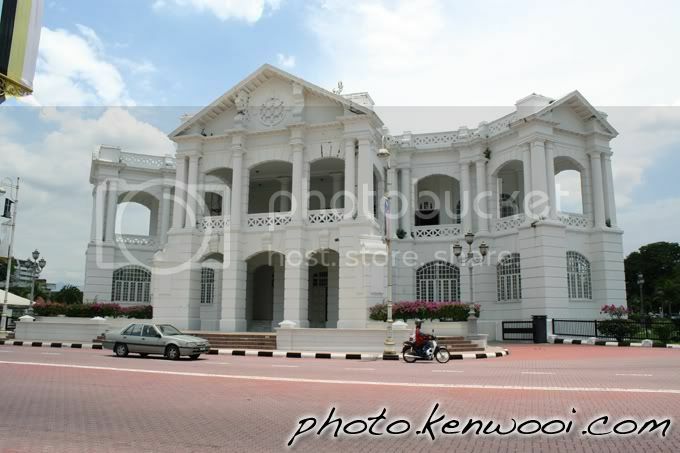 More details at Intriguing Ipoh: Railway Station & Town Hall on kenwooi.com. 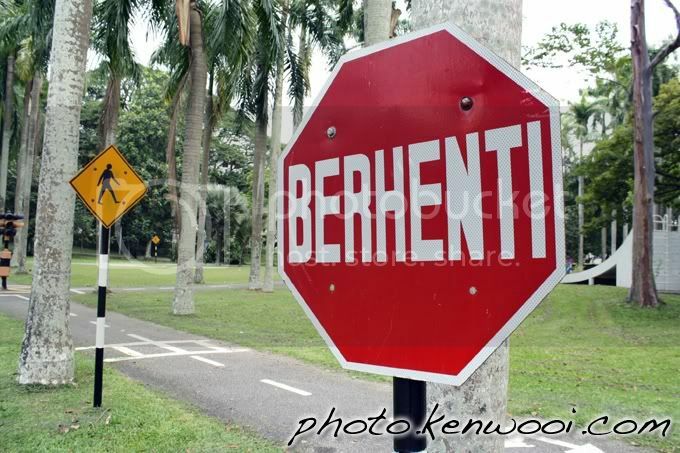 Malaysia stop sign, which says "Berhenti" in Malay language. 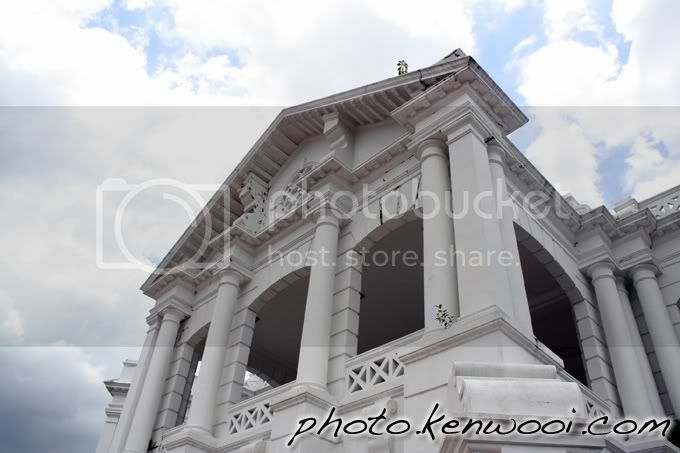 An up close view of the front of the Ipoh Town Hall. The architecture features Greek and Roman elements designed by a famous British architect. 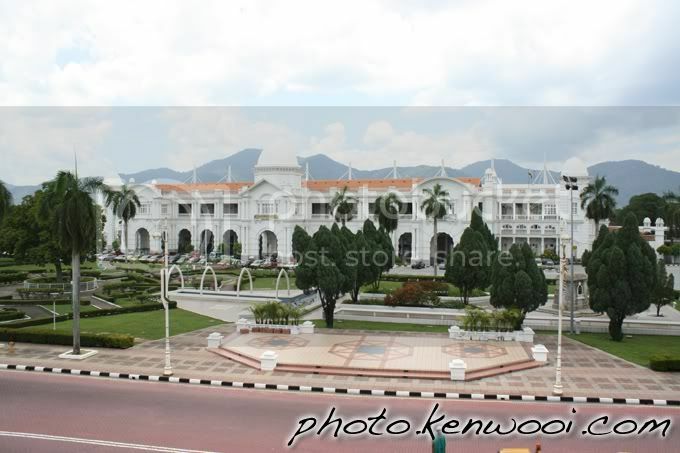 The magnificent Ipoh Town Hall is located at the middle of the Ipoh city. It was completed in 1916 and was initially used as the Post and Telegraph Office. The architecture of the structure was designed by a famous British architect. It features Greek and Roman elements. The most prominent tree on the photo is called the Ipoh Tree. It's the tree that Ipoh, my hometown in Perak, was named after. 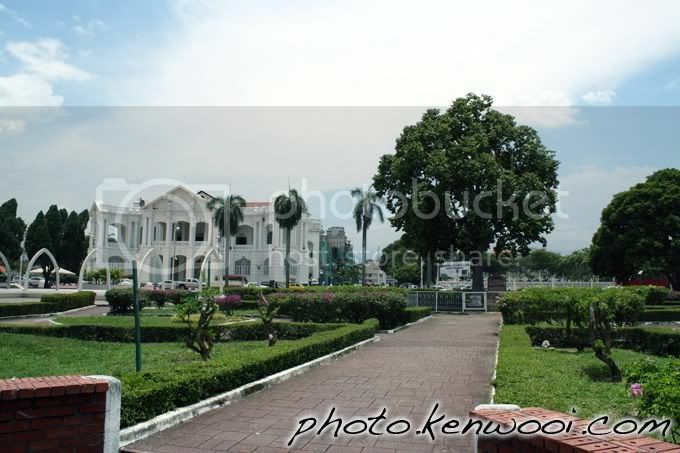 It's located in the middle of a park in between the Ipoh Railway Station and the Ipoh Town Hall. The building further back is the Ipoh Town Hall. 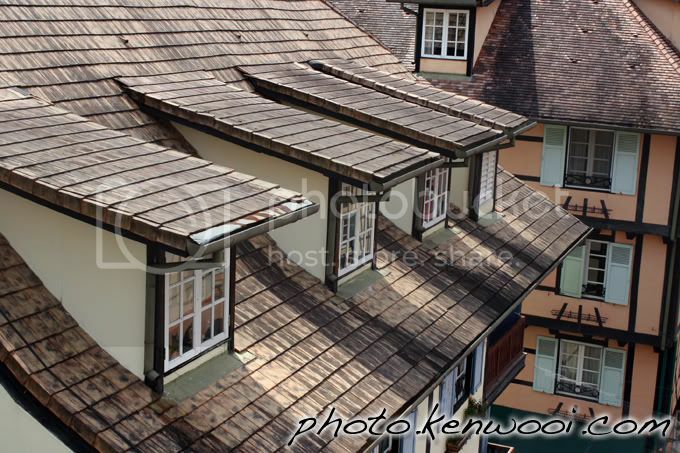 A rare sight in Malaysia - windows constructed on the roof. 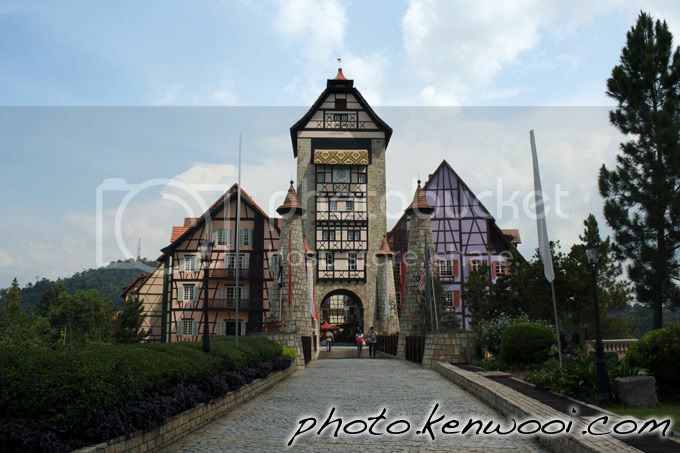 The photo is a sight available at the French-themed Colmar Tropicale at Bukit Tinggi. More details at French-Themed Colmar Tropicale on kenwooi.com. 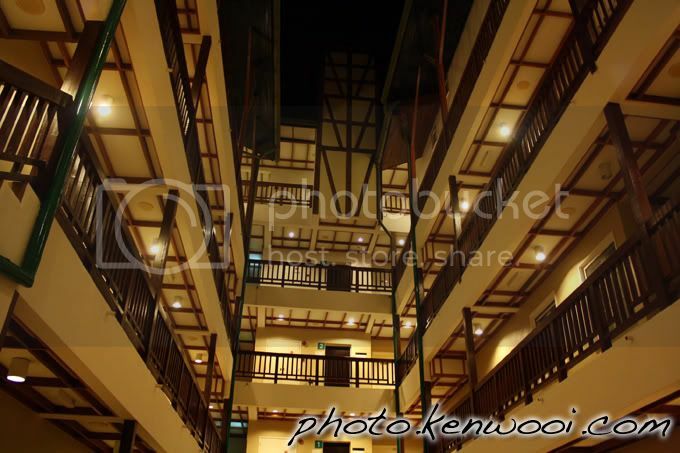 The night view inside one of the hotel buildings at Bukit Tinggi Colmar Tropicale. 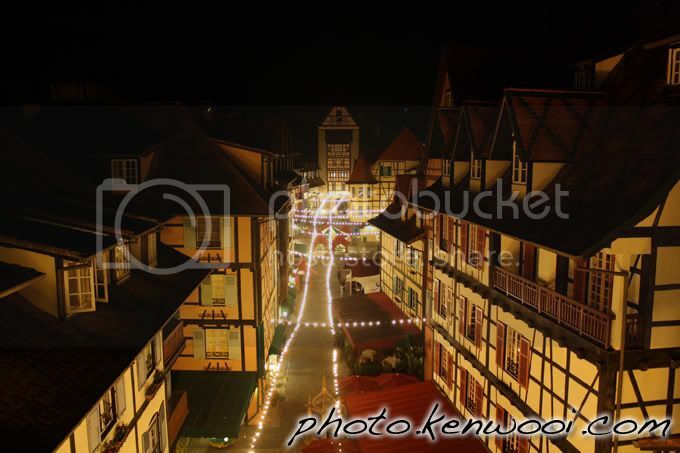 The night view of Colmar Square at Bukit Tinggi's Colmar Tropicale from the viewing tower. Rows of lights are usually lighted to brighten up the place. From the top of the viewing tower, you'll probably have the best view of the whole Colmar Square. It's only a street with beautifully designed French-themed buildings surrounding the Colmar Tropicale area. 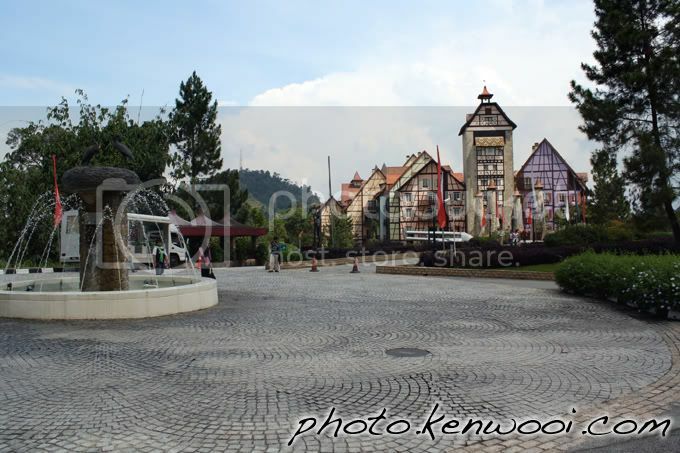 The one and only entrance and exit for Colmar Tropicale at Bukit Tinggi. One of the features at the Colmar Square is the cuckoo clock tower, which was designed after Riquewihr Tower in Alsace. 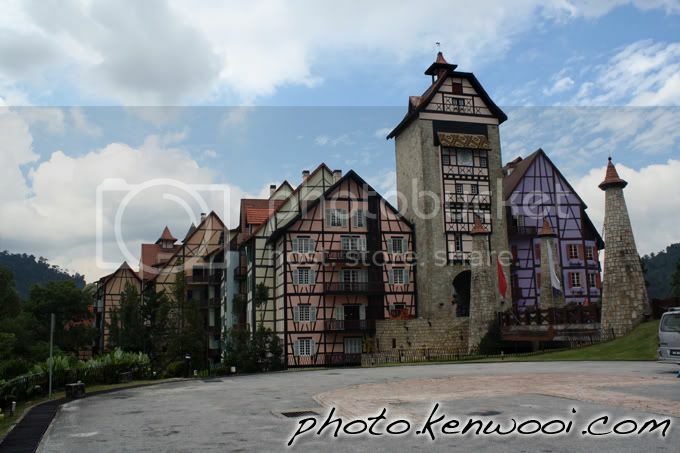 This is the welcome view of the French-themed Colmar Tropicale at Bukit Tinggi. There is a roundabout just in front with a fountain in the middle. It is also the place where you take the shuttle buses to other nearby attractions. 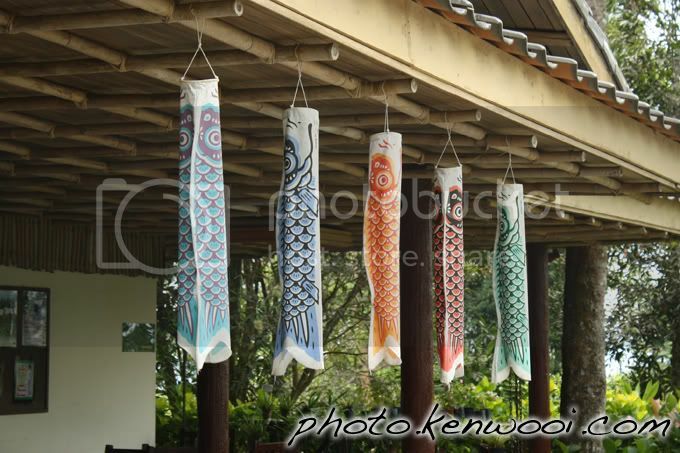 A unique type of decoration that resembles Japanese fishes with various colours hanging from the ceiling of the Japanese Village's souvenir store at Bukit Tinggi. More details at Bukit Tinggi Japanese Village on kenwooi.com. 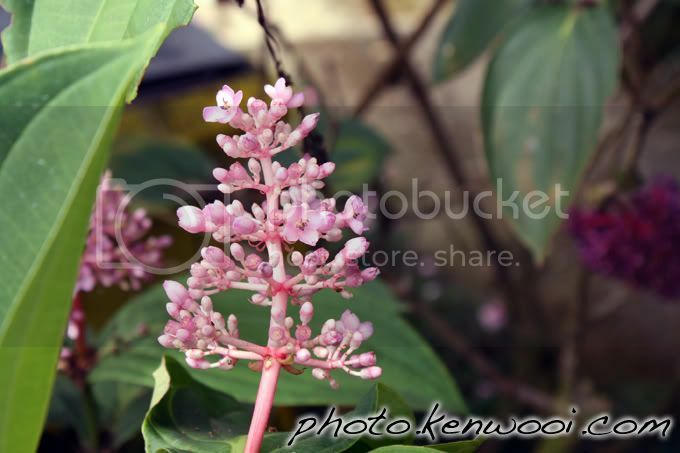 A plant with pink tiny flowers seen at Bukit Tinggi's Botanical Garden. Pretty cute for its size, but don't know its name though. 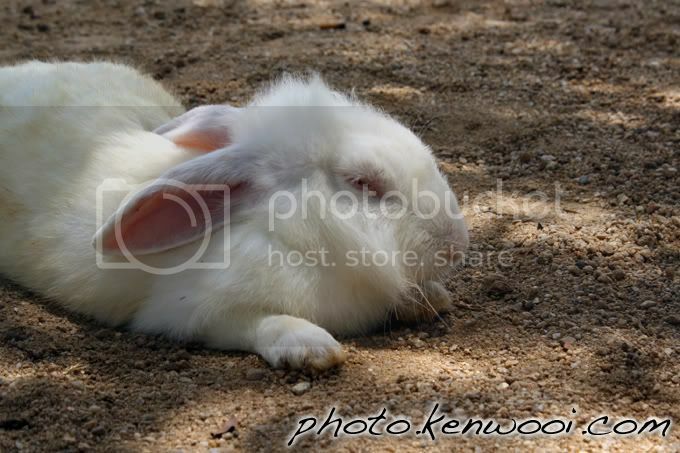 A white rabbit seen sleeping, or half-asleep, at Bukit Tinggi's Rabbit Park. More details at Bukit Tinggi Horse Trails and Rabbit Park on kenwooi.com. 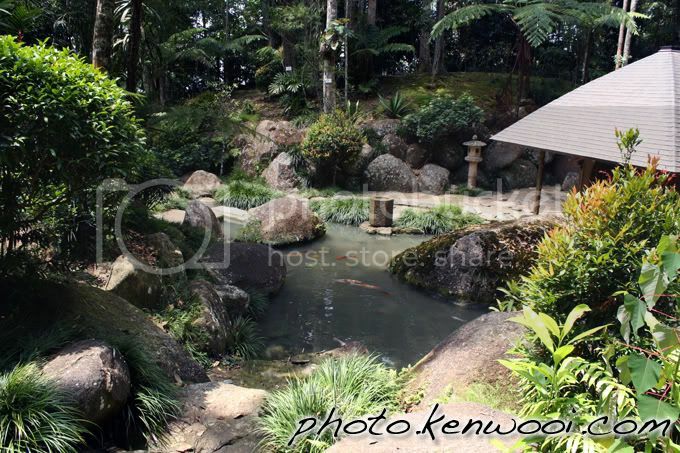 The view inside Bukit Tinggi's Japanese Village. The garden was designed with renowned Japanese architecture built by a team of skilled craftsmen from Japan. 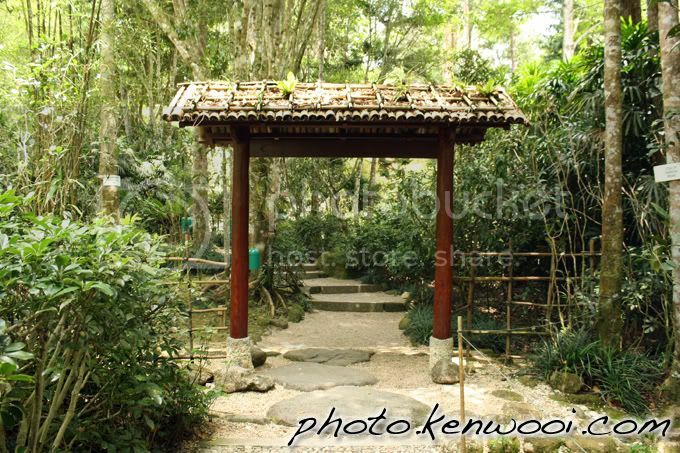 The entrance arch to Bukit Tinggi's Japanese Village. 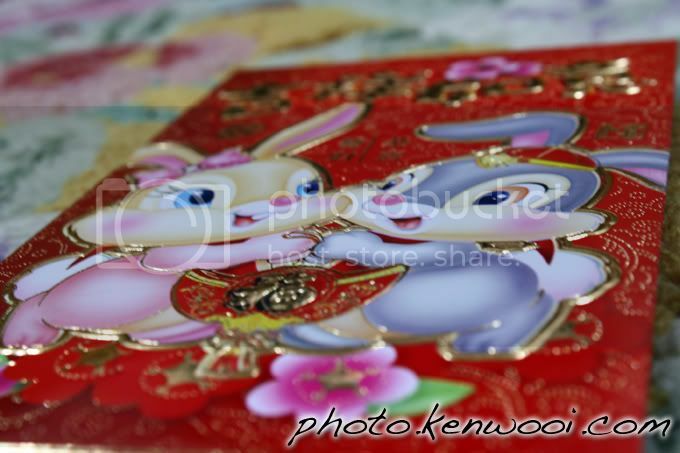 A pair of rabbits on a red packet during Chinese New Year of 2011 - which is the Year of the Rabbit. 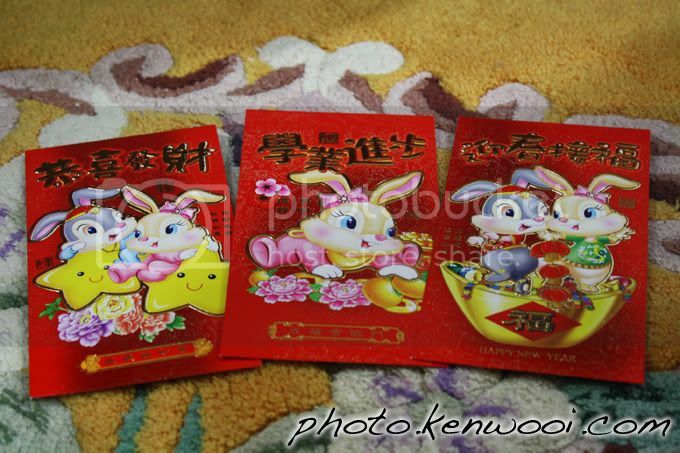 Here are more red packets with the same rabbit theme. Happy Chinese New Year! More details about Chinese New Year at Yet Another Chinese New Year on kenwooi.com. 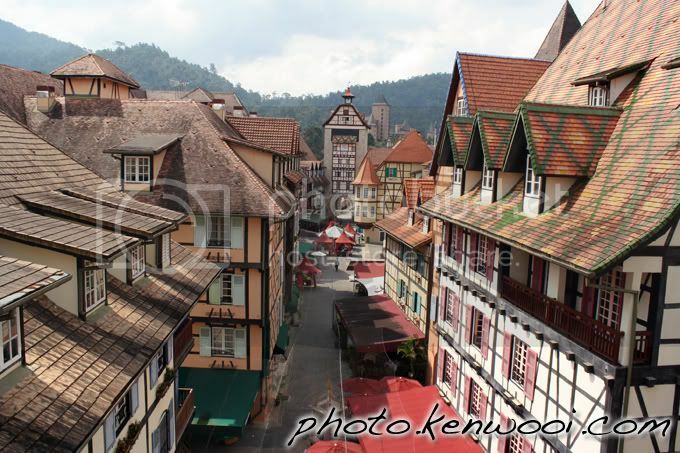 Bukit Tinggi's Colmar Tropicale is a resort located 2,700 feet above sea level and is modeled after the actual Colmar Village in Alsace, France. 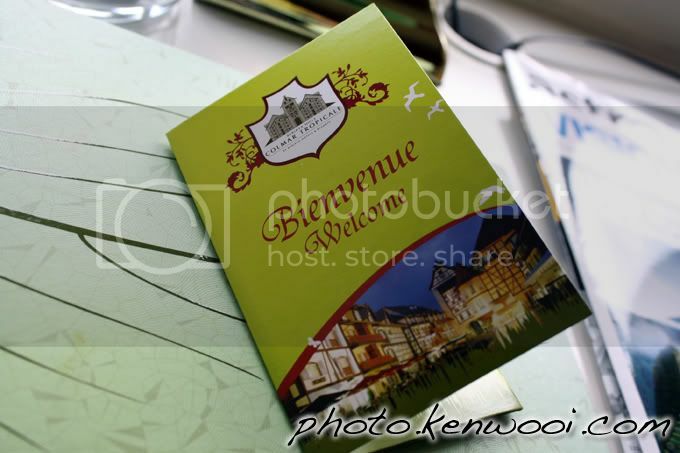 The welcome card visitors receive when they stay overnight at Bukit Tinggi's Colmar Tropicale.